Zuo Modern’s Cosmopolitan Coffee Table adds a bold statement to any indoor or outdoor area. 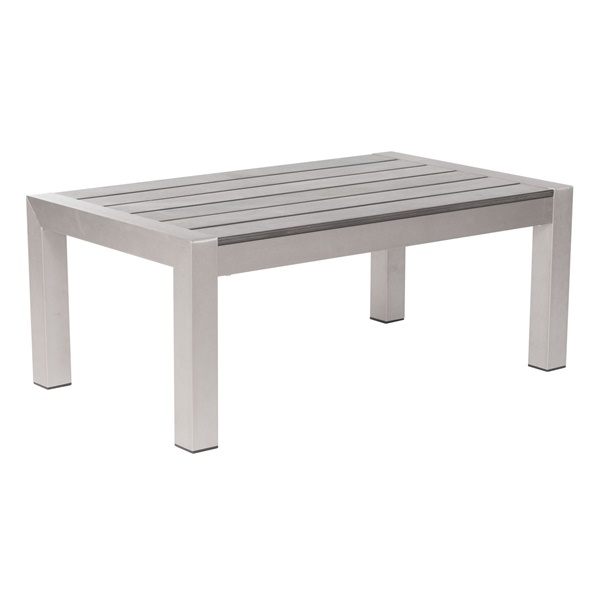 Crafted with brushed aluminum with a teak wood tabletop, the streamlined shape of this table brings a sense of simple elegance to your favorite space while maximizing duability. At 15.8”H, the Cosmopolitan Coffee Table is the perfect height for your guests to sit back and enjoy their favorite bites and beverages. Sitting on top of non-marking feet, this piece is ideal for finished floors. The Cosmopolitan Arm Chair is part of the Cosmopolitan Collection by Zuo Modern.